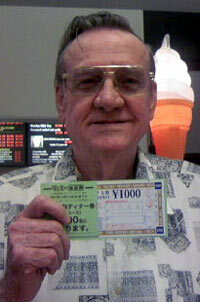 Robert E Morgan has been living on Okinawa since 1969, so it’s obvious that he likes the place. He is originally from Jacksonville, Florida, and is the lucky winner of Y4,000 worth of dinner tickets to Sam’s-by-the Sea restaurant. He enjoys gardening and speding his time leisurely on the island he has chosen his home. 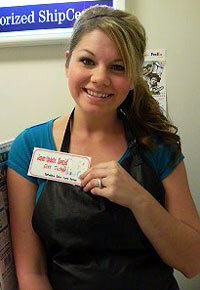 Julie Annett is the winner of a gift coupon to Esthetique Salon Come Across. She is from Cabot, Arkansas, and has been on Okinawa two years. She says her life on the island is rather busy but also lots of fun. She also likes doing friends’ hair and go snorkeling on one of the beaches.